Drops off Heroic Keli'dan in Blood Furnace (http://www.wowhead.com/?npc=17377). Personally, I'd choose this over Greatsword of Horrid Dreams for the +spell crit. The only thing you're losing is 9 spell damage. This sword is nearly identical to Greatsword of Horrid Dreams, except that it has some crit rating, no hit rating, and 9 less +damage. If you get it and then replace it, I suggest keep it for those moonlit walks in Shattrath. Good looking items are always worth the bagslot. I would take this for my tanking paladin over Horrid Dreams. I don't have trouble with a lot of resists, but a critical on a big holy dmg judgement is a nice fat burst of threat. Plus I think this sword looks way better than the eyesore of horrid dreams. What would happen if this went up against The Unbreakable Will? Sargares would take the place off Ad'al and all hell would be loose! This is a seriously cool wep..
i used to tank with this a LONG time ago... served me well for 2 weeks from when i hit 70 till when i got http://www.wowhead.com/?item=32450] which sadly is no longer available. i was hoping they would make it so that anything that can be weilded in the main hand would fall in the same category. regardless if it's main hand or one hand. both can be equipped to the main hand regardless. the only piece of equipment that could have a problem with this is if you wanted a strict off-hand weapon in a main hand. that wouldn't be allowed. got it on my 4th kill. Now to figure out a nice set to go with it on my Deathknight. Have the full purple judgement set with Duel Felsteel Longblades / Latro's Shifting/Dancing Blade combo.. It seems a lot of the main hand/off hand fist weapons are becoming one-handed in MoP...so why the hell are swords like this one still MH weapons? I need this specific sword for my transmog set, but since it's MH, I can't freaking use it. Gotta love it when blizzard only does things half-assed. 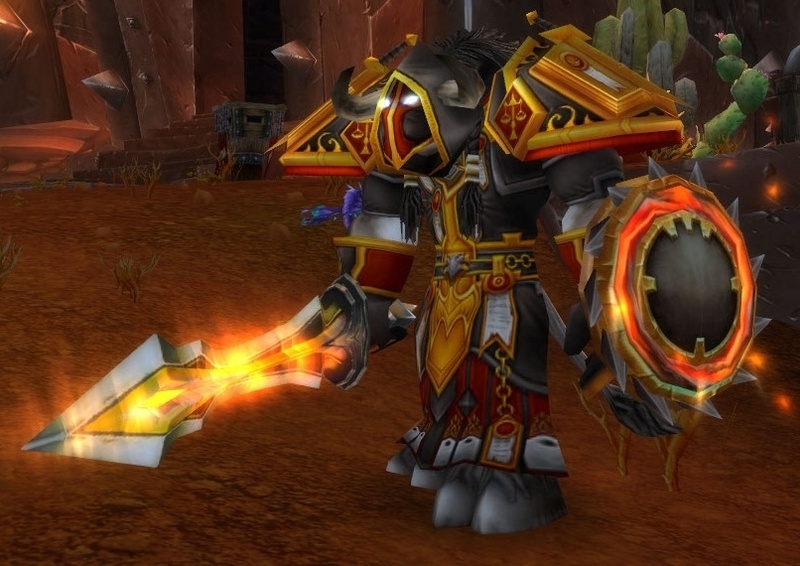 The Willbreaker is an Awesome Tmog with the Judgement Set Followed up with the Drillborer Disk. I don't know since when, but this item now drops on normal mode (according to wowhead: This item only drops in Normal mode.). I think years ago, this was a heroic only drop.